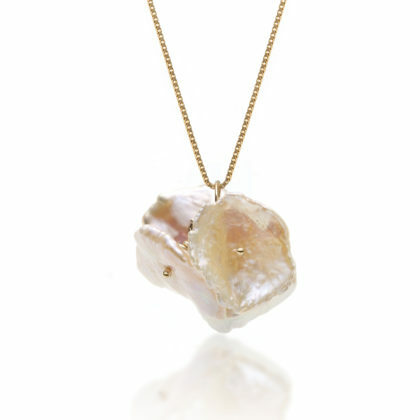 Pendant in 14k yellow gold with a golden-pink freshwater pearl petal cluster composed of 4 pearls. Because of the uncontrollable nature of these pearls each of these pendants are unique. Pendant in 14k yellow gold with golden-pink freshwater pearl-petal cluster. 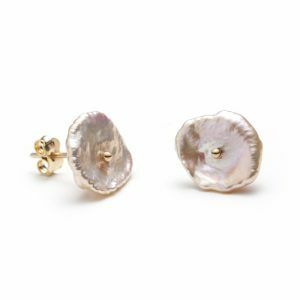 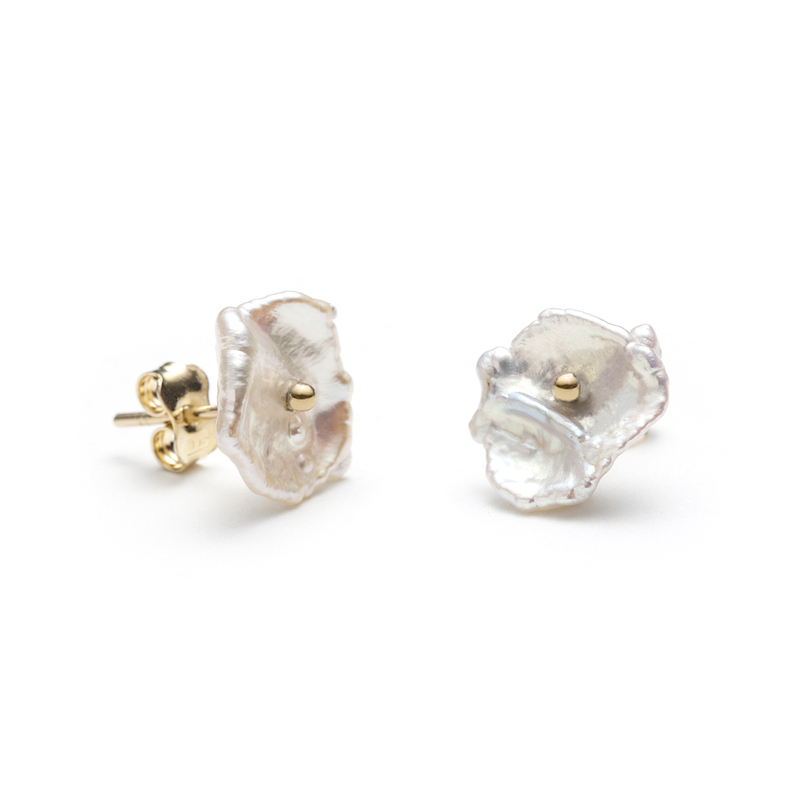 Stud earrings in 14k yellow gold with iridescent, white freshwater pearl-petals. 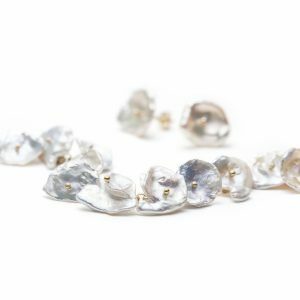 Because of the uncontrollable nature of these pearls each pair of these earrings is unique. 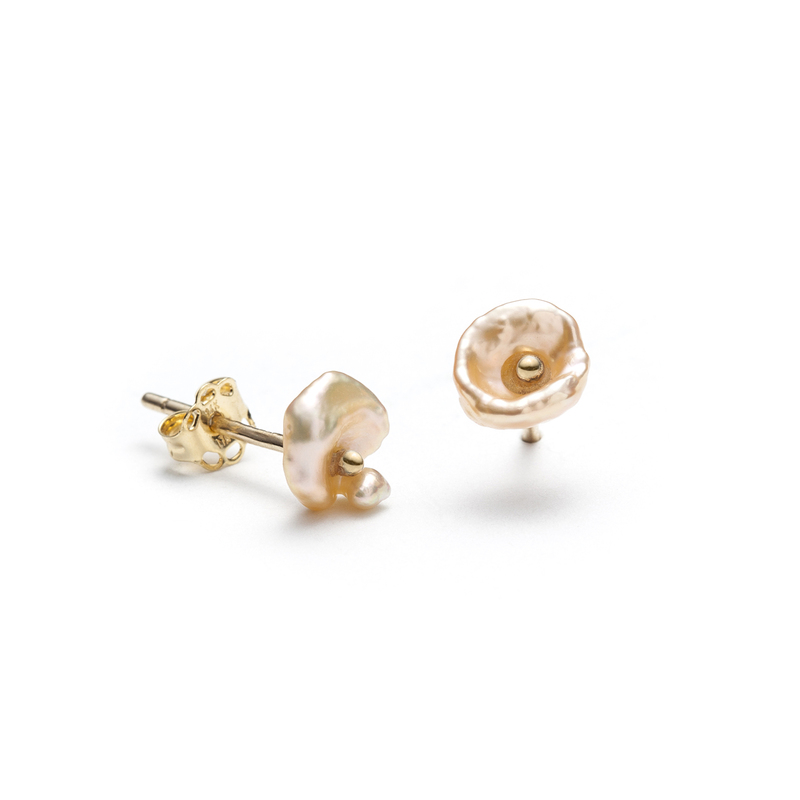 Tiny stud earrings in 14k yellow gold with freshwater pearl petals. Because of the uncontrollable nature of these pearls each pair of these earrings is unique. Stud earrings in 14k yellow gold with white freshwater pearl-petals. 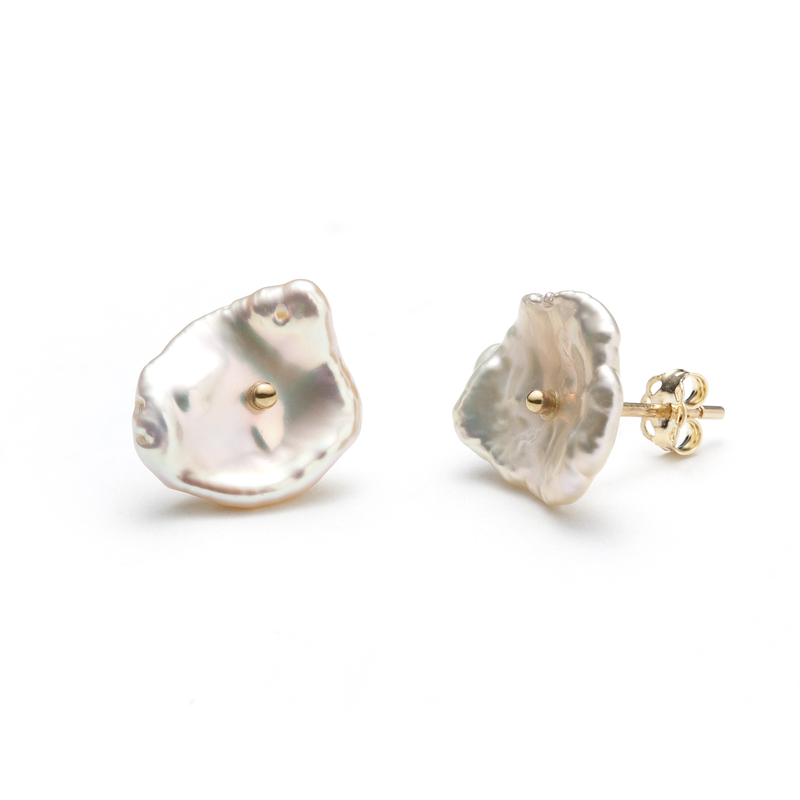 Because of the uncontrollable nature of these pearls each pair of these earrings is unique. 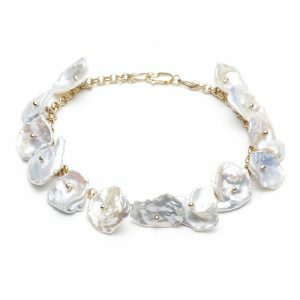 Bracelet in 14k yellow gold with a freshwater pearl petals. Because of the uncontrollable nature of these pearls each of these pendants are unique.